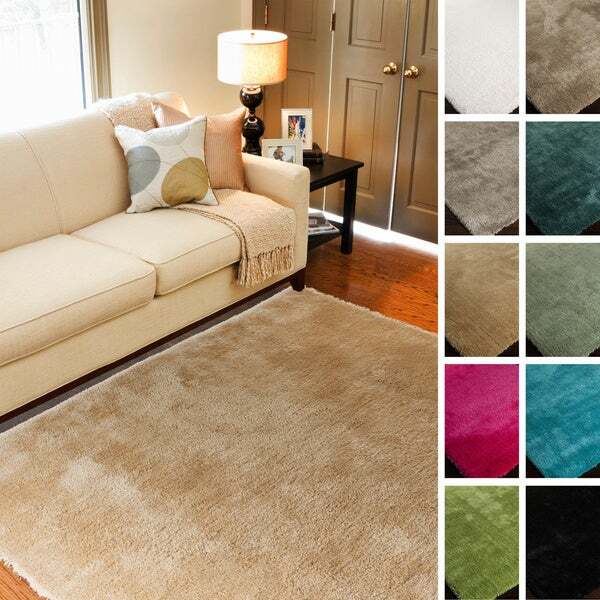 Bring luxury to your home with this shag area rug. Hand-Woven with 100-percent polyester, this solid designed rug will add a pop of color and the finishing touch to your decor. Dimensions 9 ft. x 13 ft.
"I am looking for a taupe colored rug-which is shown only in the drop-down. A photo shows the right color but it is not labeled. Does this rug come in taupe? The description and photo does not show taupe. ???"